After identifying the 37 directories that are most important for feeding voice search platforms, we came up with a percentage-based analysis (from 0-100%) that used missing and erroneous business information as a factor to determine voice search readiness. Our findings were surprising. After defining voice search readiness, we found that only 4% of business locations have no errors or missing information across Google, Yelp and Bing - the most important directories for feeding voice search platforms - and that the vast majority of businesses are severely underperforming in voice search readiness. Also surprising is that almost half of all business locations have missing or inaccurate opening hours. This is particularly troubling considering that incorrect opening hours is one of the easiest ways to turn customers off your brand. A majority of businesses aren’t voice search ready. However, with so much information out there regarding voice search optimization and voice search readiness already, why are SMBs, enterprise and mid-market businesses failing to meet voice search readiness standards across the board? What does voice search readiness mean? How can I measure voice search optimization? How can a business become voice search optimized? Why should I care about voice search? Each of these questions have been asked and answered in the voice search report to provide you with a comprehensive way of understanding voice search readiness, measuring your own business location optimization and helping you to get voice search ready. 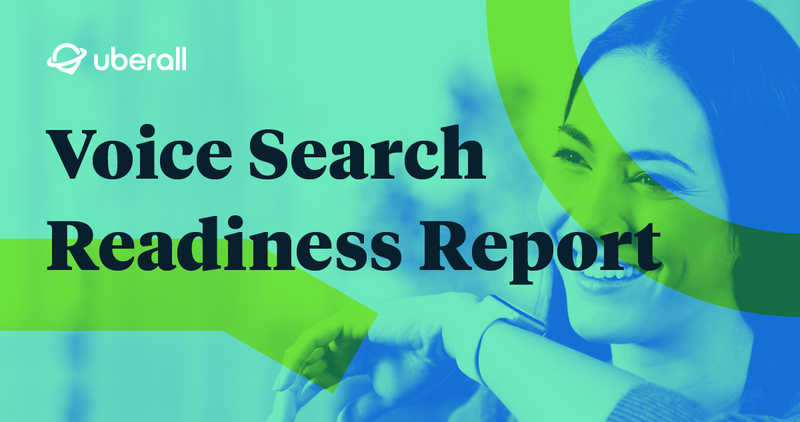 Get your copy of the 2019 Voice Search Readiness Report to make sure that your business is voice search ready.